A critical part of success in a business is a well designed Communication System. High quality, feature-rich phone systems are an important part of your communications suite, and while you most likely have a phone system, are you sure that it is supporting your business as well as you need? Could it be dragging you down and costing you productivity, customers and money? Today’s technology has several options available to Fort Worth business owners. The technology you will use will be governed by your specific requirements. One size does not fit all – nowhere is this more true than in the phone business. There are several technologies available in the market concurrently. Your selection will depend on what your needs are. Therefore there is need to analyze user requirements in detail before calling a vendor. This guide is designed to take the guesswork out of your decision. Your business telephone requirements will influence your selection of a Fort Worth or Arlington telephone systems provider. 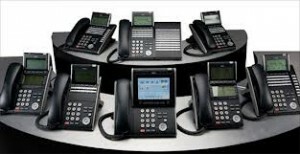 Most business telephone and data system needs can be broken down and understood better by looking at each buyer class. These buyers represent companies with fewer than 500 users. This class of business does not have a complex structure and is probably in one location. Numerous “bells and whistles” are not generally needed, as most are cost conscious and are looking for solid, cost effective and easy to install systems. Such businesses do not expect to enlarge their user base very substantially in the near future and do not need advanced capabilities. These DFW business owners have more complex needs and have a workforce which is scattered among several different geographic locations. Mobile users will need advanced features such as communicating over VPNs (virtual private networks) that provide enhanced security. Geographic locations may also change in number and location as new projects begin and end. Such businesses often have considerable IT departments to help manage more complex telephone and data systems. Intermediate buyers generally represent companies with around 2500 users or less. Advanced customers’needs stem from having 2500 users or even potentially more. Operations could span continents, and their needs can be extremely complex. Such users will typically use all of the advanced capabilities phone systems can provide. They will also stress on the need for unified communications where voice, video and instant messaging will combine to provide communication in the broadest sense of the term. ← VoIP – What is VoIP Telephone Service in Fort Worth and Dallas?